Indiana is ranked #39 and Michigan is ranked #43 on per capita disposable income. Indiana is ranked #14 and Michigan #33 as a state for business. 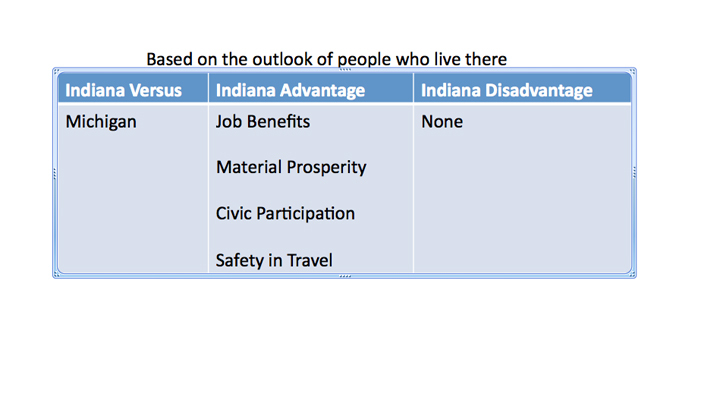 Hoosiers are reported to be more civically engaged volunteering at a slightly higher rate (27.3%) than Wolverines (26.3%). Indiana is ranked as a safer state to live than Michigan. Unemployment is slightly lower in Indiana (8.2%) than Michigan (8.9%). Do You Know The 7 Key Criteria of a Great Advertisement?